If you’re worried about your elderly parents being home alone without someone to care for them, we got you covered. Home Health Preferred, LLC provides exceptional companionship services that provide safety and security for the elderly, sick, and disabled individuals who need to remain at home to recover and get healthy. Constant loneliness and isolation can take a severe toll on the elderly. These individuals are already having a hard time dealing with the challenges of their health. Living alone and having no one to talk to can potentially lead to devastating results in the form of sadness and depression – this is a situation that you need to prevent as much as possible. 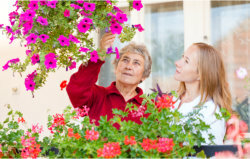 At Home Health Preferred, LLC, we will help you deal with these scenarios in the most efficient and effective ways. For questions and inquiries, feel free to contact our trusted and accommodating staff today. All you have to do is call 1-720-370-6772 or send a message to admin@homehealthpreferred.com.